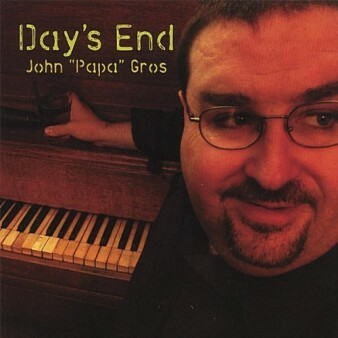 Named the Best Roots Rock record of 2004 by the New Orleans Times Picayune, Day’s End is John “Papa” Gros’ debut solo album that presents all of his broad and subtle talents in a beautifully measured package. 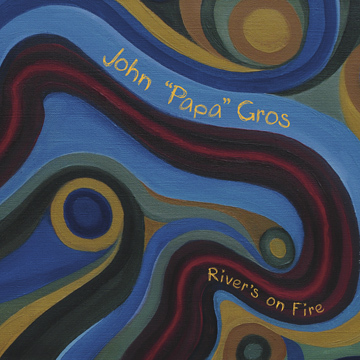 The disc is laden with roots rock and swamp soul that references Leon Russell, Dr. John, Little Feat and John Fogerty, among others. Pedal steel and country harmonies turn up in the ballad “Roll Away.” Chiming mandolin lies over acoustic guitar on the literate back porch meditation “The Ground.” Gros wrote or co-wrote most tracks, but chose four appropriate covers, including Earl King’s “Make a Better World” and singer-songwriter Dayna Kurtz’s intimate “Last Good Taste.” Gros’ piano boogies across Van Morrison’s “When That Evening Sun Goes Down” and goes solo on Melvin Lastie’s New Orleans saloon-style “Keep on Gwine.” The slightly woozy “Toulouse Serenade” sums up a fine New Orleans day in six lines, an ode worthy of Randy Newman. Such good songwriting demands the highest-caliber accompanists, and Gros has what just might be the perfect backing band on this set-Tommy Malone on guitar and backing vocals, Robert Mache on guitar, Reggie Scanlan on bass and Kenneth Blevins on drums.